Sports Vision 20/20 engages the blind to become more active in their lives. 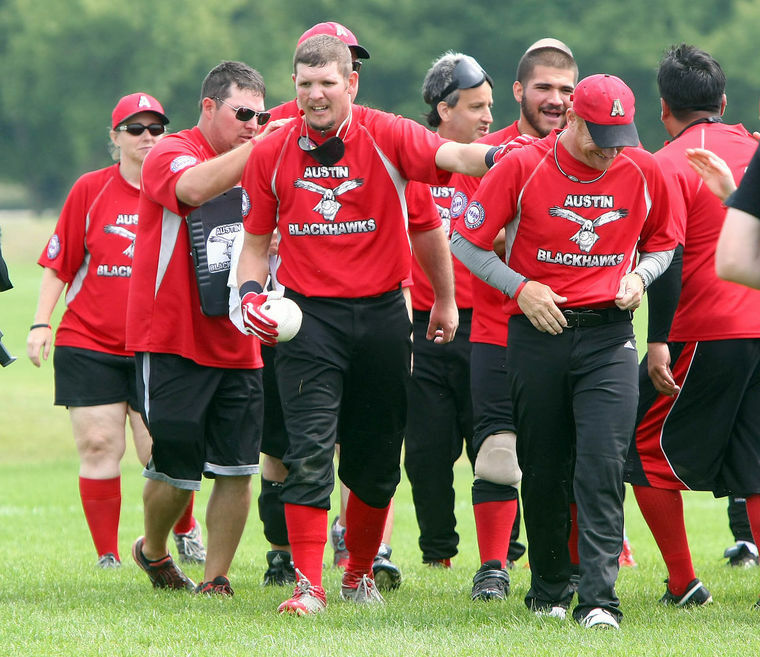 We celebrate the game of Beep Baseball by sponsoring the Austin Blackhawks-eight time champions of the World Series of Beep Baseball! Our annual Bowlathon in February brings many blind individuals and our sighted friends together to highlight our talents and abilities. Our organization supports the Texas School for the Blind each year by participating in a Rock Wall climbing field trip, and our beepball demonstration Easter Egg Hunt led by our nonprofit-partner the Telecom Pioneers. If it’s related to sports and recreation for the blind, we are here to hehlp.